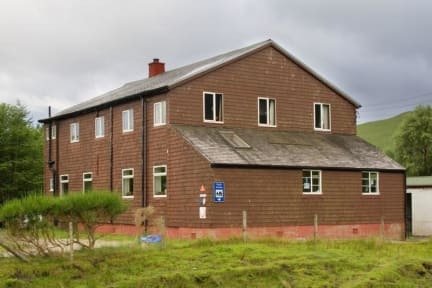 Glenbrittle Youth Hostel is a Norwegian-style wooden building providing budget multi-share accommodation as well as private rooms. 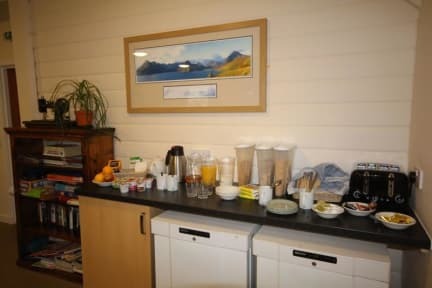 The youth hostel has a modern self-catering kitchen as well as plenty of dining space. It is equipped with a drying room and a homely shared lounge area adorned with old photographs of the surrounding area. Glenbrittle Youth Hostel is set in rugged scenery, just over a mile from the beach it is also close to the magical Fairy Pools. For the ambitious mountaineer the Skye Munros and the Cuillin Ridge will provide the right playground. For a less strenuous pace there are coastal and low-level walks for all abilities and weather conditions, wildlife to watch, archaeological sites and geology to explore. The Talisker Distillery is about 7 miles from the youth hostel. A really nice youth hostel, a warm atmosphere, good services, helpful people. L'impression d'arriver au bout du monde. Jenny très souriante et aidante. Tres bon sejour au beau milieu des montages et juste a cote des fairy pools ! Bon conseil pour l'adresse du pub The Old Inn : musique et bonne cuisine !